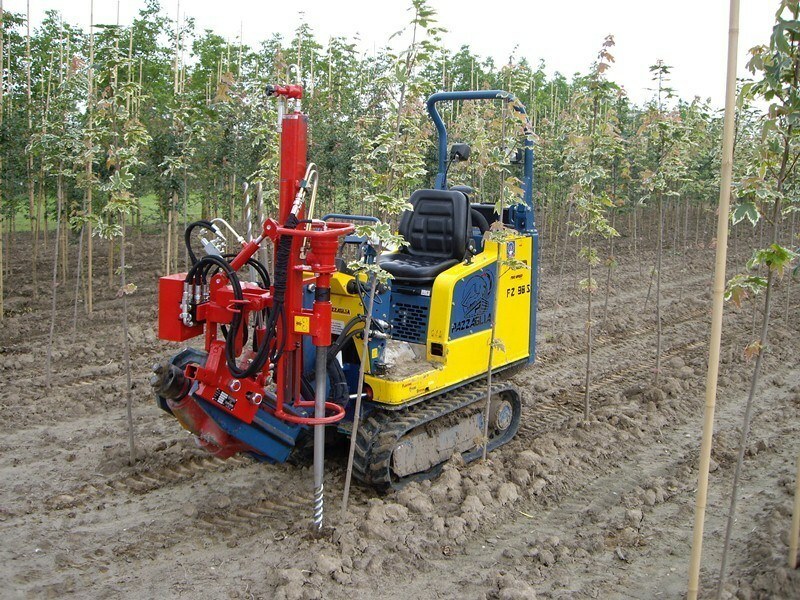 The bamboo cane drill HSD-FZ is constructed to mount to a Pazzaglia or Holmac tree digger. The HSD-FZ can be provided with drills in several diameters. Capacity of the HSD-FZ is around 400 – 500 holes per hour. Your Pazzaglia tree digger can quickly be converted into a bamboo cane driver. Adventages are the high capacity; you can do the activities when sitting in stead of walking behind the machine and the bamboo cane drill is a economical investment.